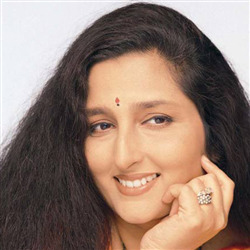 Anuradha Paudwal is a popular playback singer in Bollywood in India. 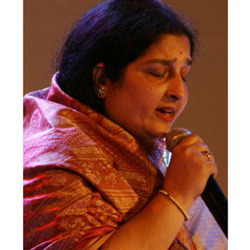 She has been one of the leading playback singers since Lata Mangeshkar and Asha Bhonsle. 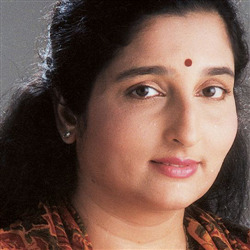 She was the first singer to challenge the monopoly of the Mangeshkar singers, with a spate of successes in the Hindi Playback industry. She studied at Xavier's College in Mumbai (Bombay). She was married to Arun Paudwal, who worked with music director S. D. Burman as his assistant. 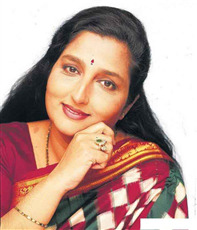 Anuradha's career started in 1973 with the movie, Abhimaan, (starring Amitabh Bachchan and Jaya Bachchan) in which she sang a melodious"shloka". In 1976, she got her break as a playback singer in Hindi films with Kalicharan. Anuradha apparently never received any formal training in classical music, stating in an interview,"I have not received any formal training in classical music. I have tried many times, but it has never worked out. I learnt a little here and a little there, but ultimately, I just practiced for many hours listening to Lataji" Anuradha gained recognition with her popular numbers for the movie, Hero, for composers Laxmikant-Pyarelal. Her collaboration with Laxmikant Pyarelal produced more success with songs for "Meri Jung"(O mere Kwabon ke), "Batwara"(Thaare Vaaste Re Dola-Tu maro kaun lage),"Nagina" and many more. "Ram Lakhan" saw Laxmikant Pyarelal giving three major hit songs to Anuradha. Their association ended with "Tezaab" where she sang two good numbers for them-"Kehdo ki tum" and"Hum tumko Dilbar Kyon mane". 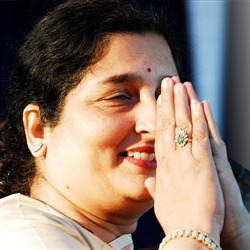 Although Anuradha has significantly cutback in singing for films, she has continued on with her popularity for singing devotional songs and creating devotional albums, which ultimately remains her forte. 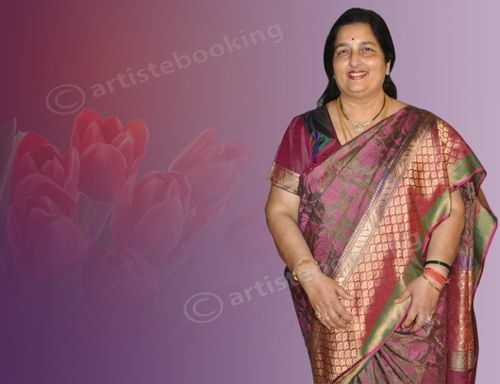 Why Book Anuradha Paudwal Through ArtiseBooking?